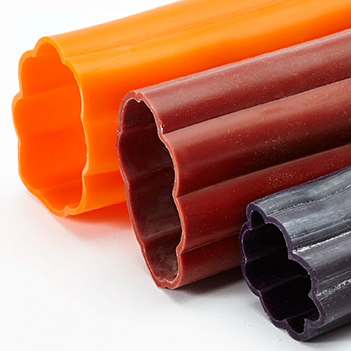 Our Flexible Star Tubing (FSTS) product line is ideal for masking off irregular geometries, long protrusions or as a fill-in for small runs of parts. Our high temperature silicone is specially formulated to ensure reusability and economy during masking. 0.250 Major ID X 0.200" Minor"
0.375 Major ID X 0.300" Minor"
0.500 Major ID X 0.400" Minor"
0.625 Major ID X 0.500" Minor"
0.750 Major ID X 0.625" Minor"
0.875 Major ID X 0.725" Minor"
1.000 Major ID X 0.850" Minor"
1.250 Major ID X 1.000" Minor"
1.500 Major ID X 1.250" Minor"
1.750 Major ID X 1.500" Minor"
2.000 Major ID X 1.750" Minor"